There are shifts and changes at play. A tattooed family gazes into the distance. Their whole stance creating a question. Yes, there are shifts and changes at play. Like what the future will bring for us all and for our vulnerable world? Like what makes sense for a contemplative photographer in these days of high alerts and lock downs? 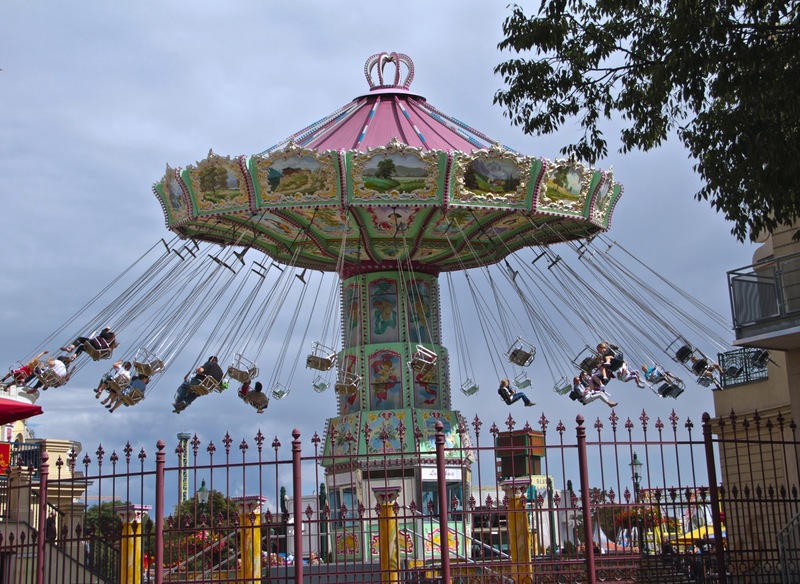 Like how to make use of every precious moment without adding to consumerism and overload? 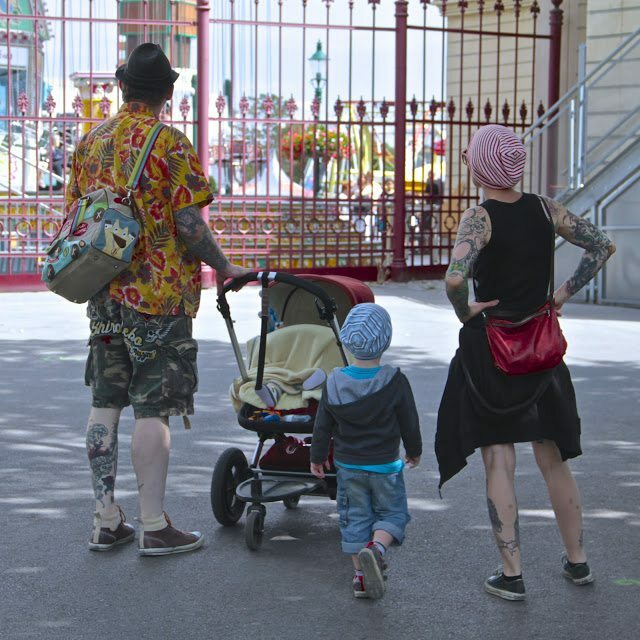 The question for the tattooed family was whether or not to take a risk on a fairground ride? How to figure out the moves required for jumping on and jumping off? And that’s just exactly where I’m at too…. Hi Catherine, I tried entering my comment in my iPad two days ago and it didn't take. For some reason, Blogger doesn't like me very much–(I'm a WordPress gal I guess.) I wish it would identify with my proper avatar. Your photo is so moving. The body postures say volumes don't they? And you have captured it. These are such difficult times in which people wonder about "belonging" in all spheres. And yet if we can only remember that we all belong. We are part of organic life on this old ball in the sky–we belong. As part of our celebration in the USA of Thanksgiving, I hope to give everyone I meet the quiet, gentle affirmation that I accept them for exactly who they are. A hard aim perhaps….seems like a worthy one. Shalom! Susie, from what I know of you, gentle affirmation and acceptance simply flow from you! Thank you for continuing to share that with me in so many ways. Now about the avatar. I know you have a google+ presence and a gmail account so I reckon if you login from that one you will easily be able to comment and display your avatar? Give that a try and let's see? Blogger is a bit of a bully really, owned by google and discriminating of commenters!! Me too Catherine. Wonderful post and captures! Shifts and changes here took me off line for a month, and for the month before that I was barely paying attention. I've just read back through everything you posted in that time. Congratulations on your award Catherine. Your photography deserves the recognition, but so do your words, they are always a gift. I love the photo and such contemplative questions…a ride or life…much the same it seems…as the new year approaches, I am always contemplating if I am going to continue on this ride or perhaps get off and find another….but that is how the world spins…always changing. Life is scary, for sure, but this post and those images are totally priceless!